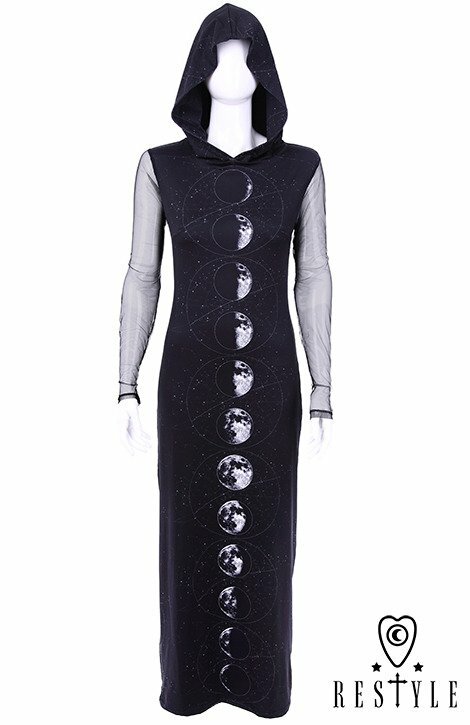 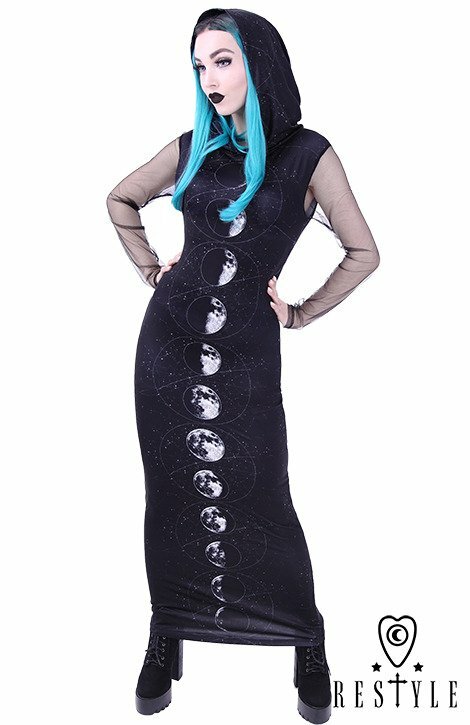 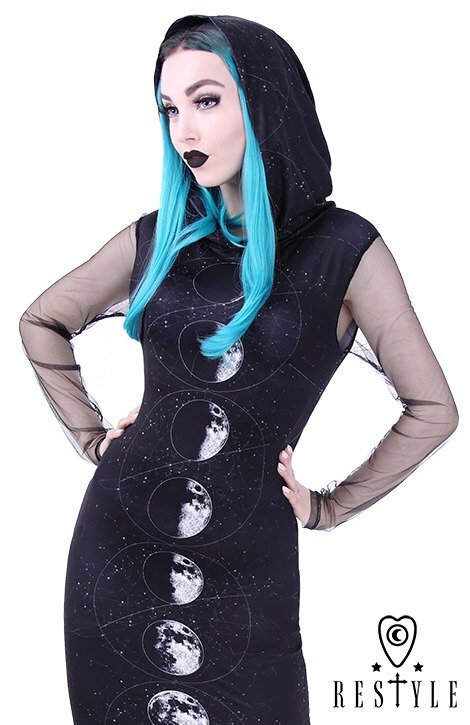 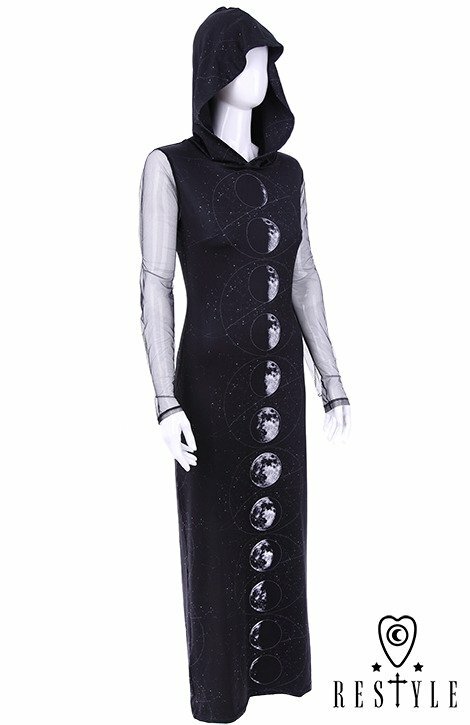 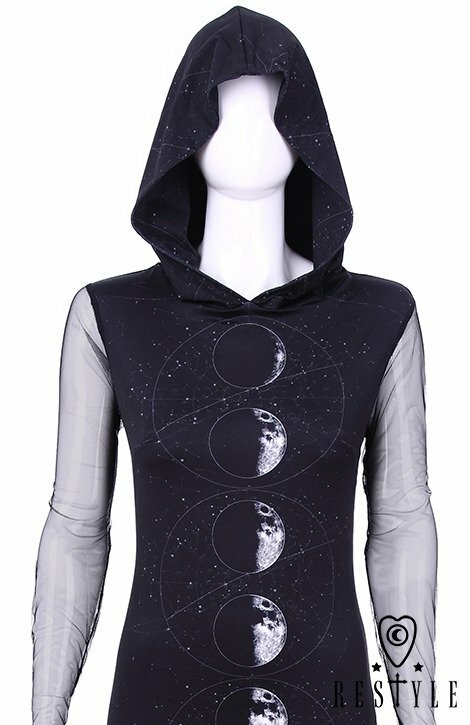 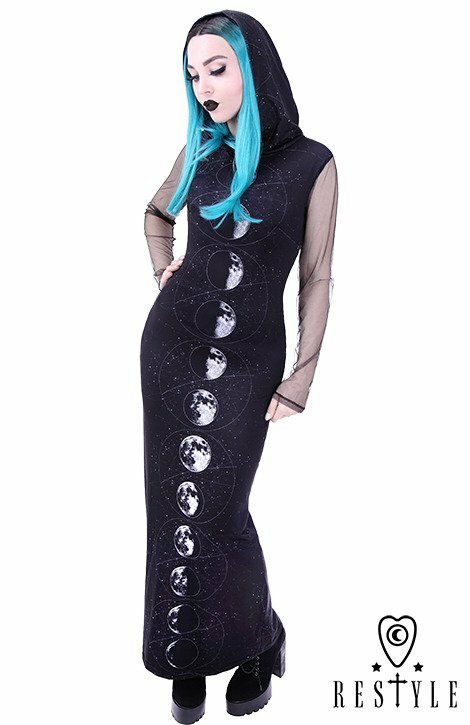 Long, hooded dress, black, witchy "MOON PHASES"
You save 11% (4,79 €). 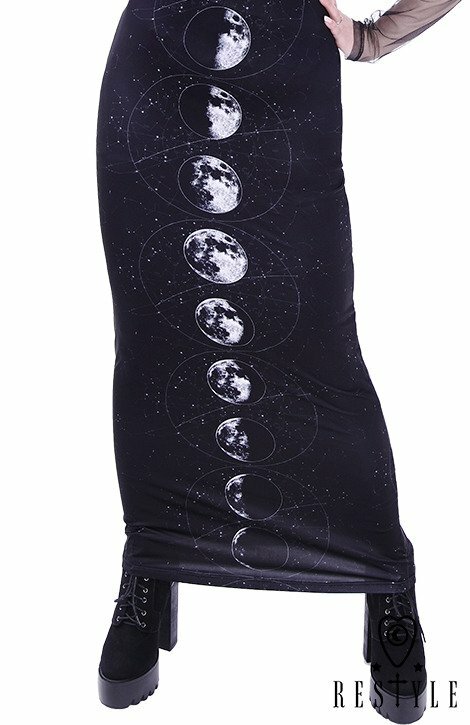 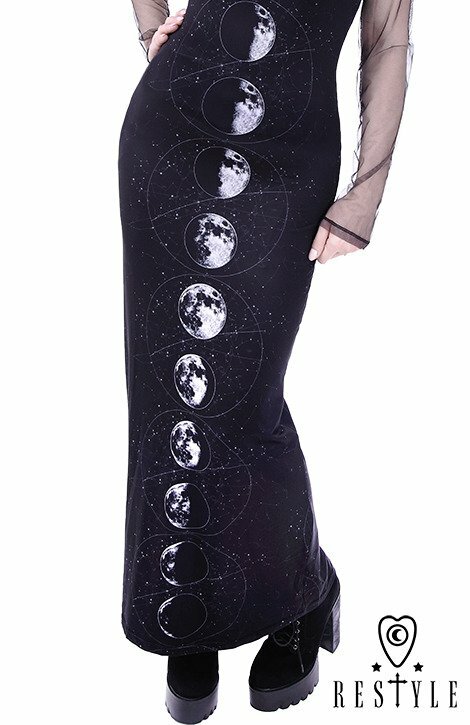 Stretchy dress with printed moon phases and map of the stars. 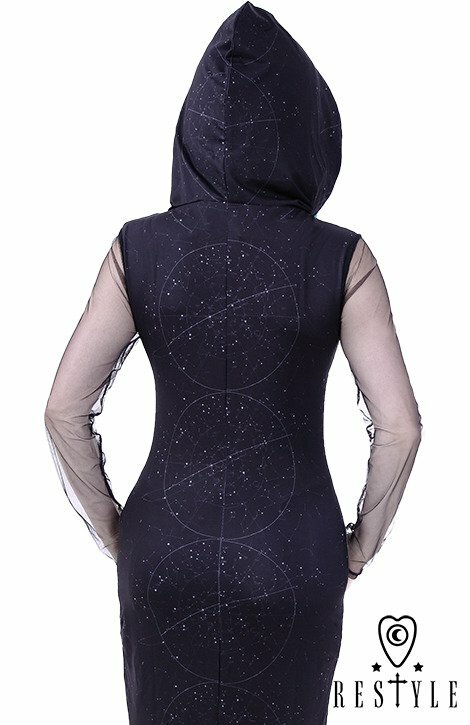 Pattern is placed on entire dress, even inside of the hood! 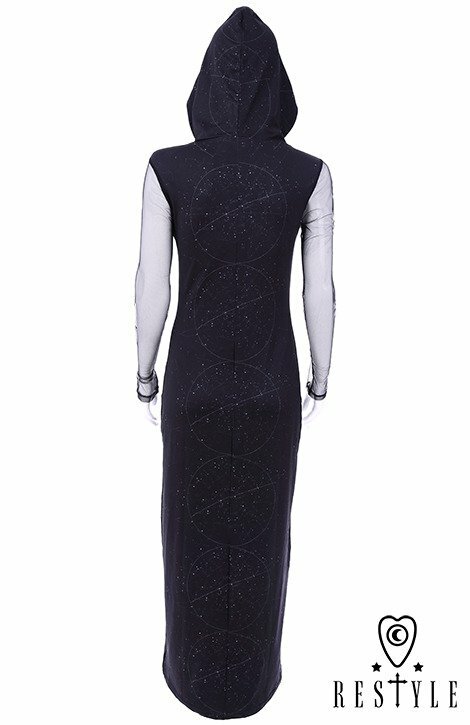 Long sleeves made of black mesh. 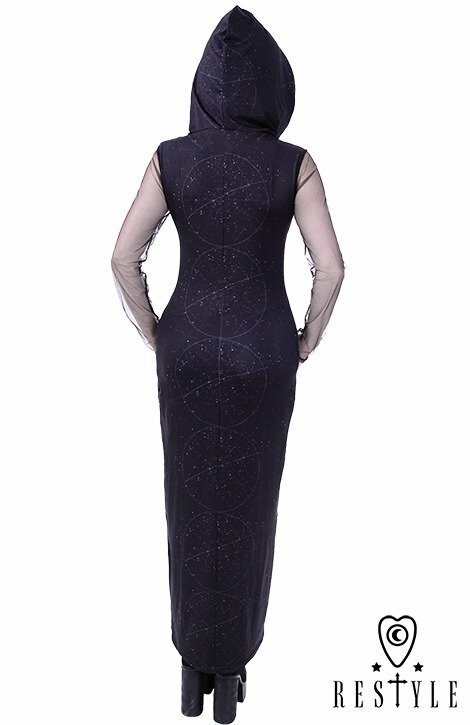 Dress has very femine shape, it's also very wide on the bottom, it will not restrain moves.